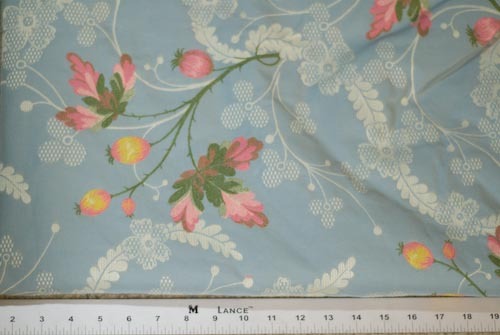 Remember this fabric, I found what it has to be made into. L, thanks for the link- I’m having a lovely time looking at the whole damn catalog. that black velvet regency court dress is fricking AWESOME.. Very pretty. The colors are very similar to that bodice. Hmmm…love the fabric, love the bodice, not seeing them together. The fabric just seems much later 18th century. Maybe seeing a bigger portion of the fabric will make them come together.